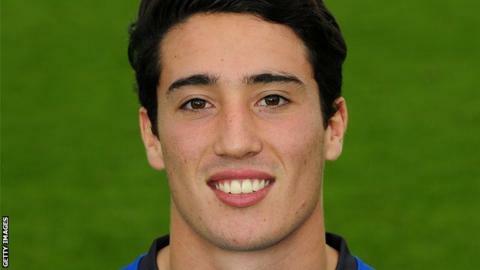 Ulster have boosted their fly-half options by signing former England U18 international Brett Herron from Bath. The 20-year-old, who is Irish qualified, comes in as competition for Paddy Jackson and fills the void left by the retirement of Ian Humphreys. "He has undoubted potential, an array of skills and line-breaking ability," said Ulster director of rugby Les Kiss. Meanwhile, Ulster academy fly-half Johnny McPhillips has been upgraded to a development contract. "With the depth of International-class outhalves at Bath, Brett's opportunities have been limited to the 'A' team at Rosslyn Park, where he has excelled," added Kiss. "Johnny McPhillips enjoyed a successful stint with Ireland U20s in this season's Six Nations Championship and that experience will stand him in good stead. "He is mature well beyond his years and he has the right temperament and ability to succeed at the highest level. "We would fully expect Paddy Jackson to be involved with Ireland squads in the coming years so the knock-on effect will be the requirement for Ulster to produce more Irish-qualified options at 10. "Brett and Johnny are definitely two very exciting prospects."